Controlling Mario with your Eyes! 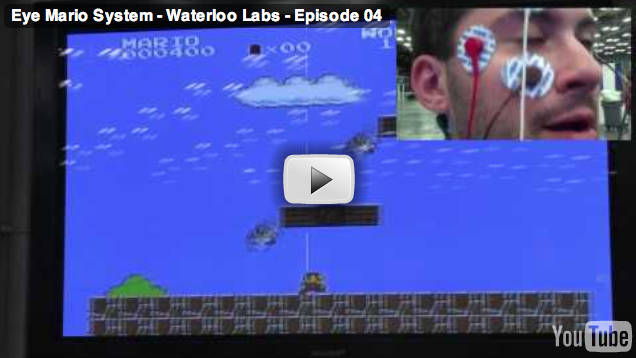 The guys and girls over at Waterloo Labs have created something that I think is amazingly cool. In a few years we might be able to put the technology inside of glasses so you won’t have to be literally connected to the system. Heck if I had this tech in my glasses right now I’d be able to come up with a whole range of applications for it. None of which would be able to get that damned Mario tune out of my head though..